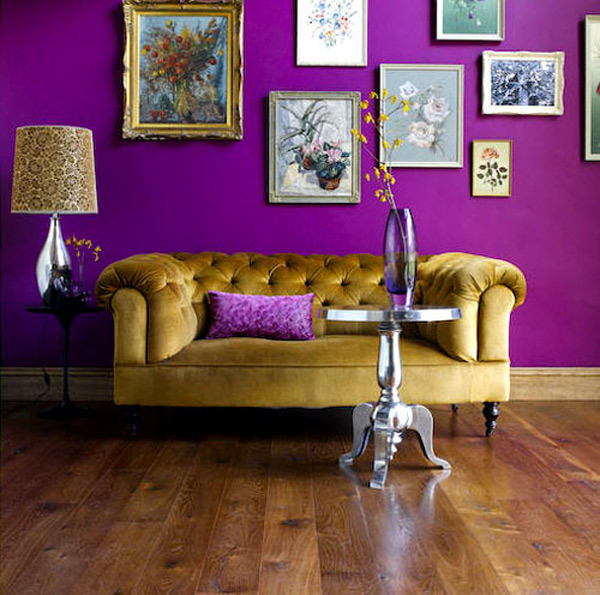 There’s a widespread phobia among the masses that cling to safe neutrals and avoid the use of bold colors. Here’s to the end of that. Mama always told me: Spruce up your life with color! It’ll change your luck and bring new energy to the mundane. So I’m making a special dedication to the most influential woman in my life with this post. 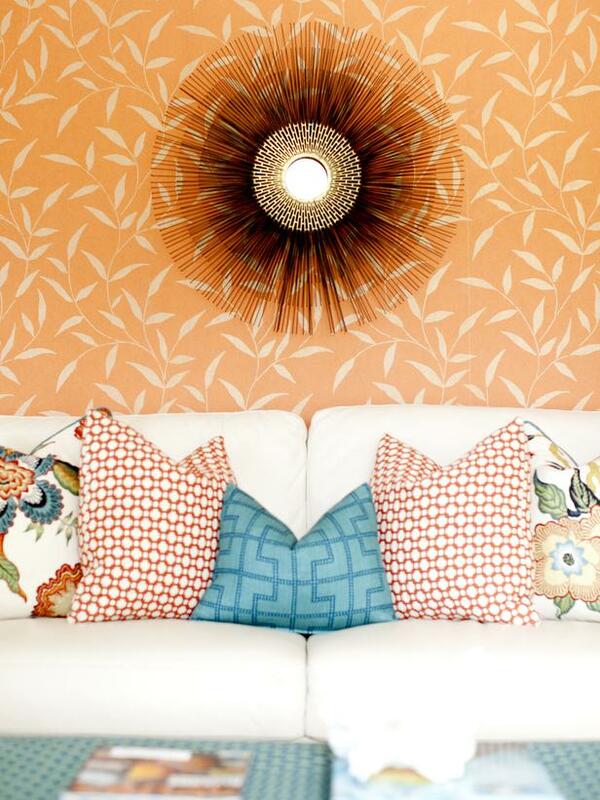 Let’s cover the color combinations that mom and I love — some may surprise you. I go nuts over orange, but match it with any of the members of the blue family and we’re talking Nurse Ratched crazy (if you don’t know who Nurse Ratched is, please do a search for her and you’ll realize the scale of my craziness for this color combo). It’s quite simple: start with a neutral piece, such as a cream colored couch or bed, and add some accessories in bright colors. Don’t be afraid to match patterns. Anything goes these days and if you stick to a consistent color palette, you’ll see the uniformity in the overall look. 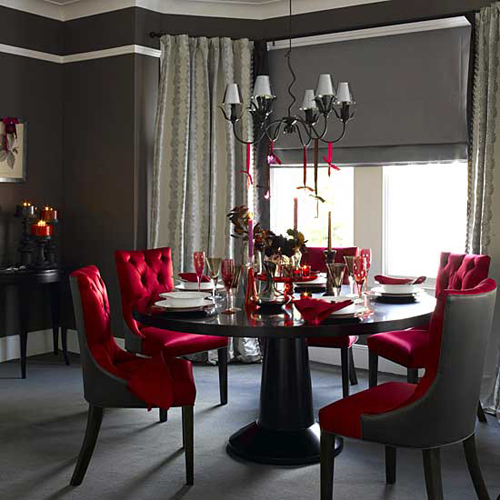 Grey is neutral enough to complement any warm color, so you can’t go wrong with using it with reds or oranges. 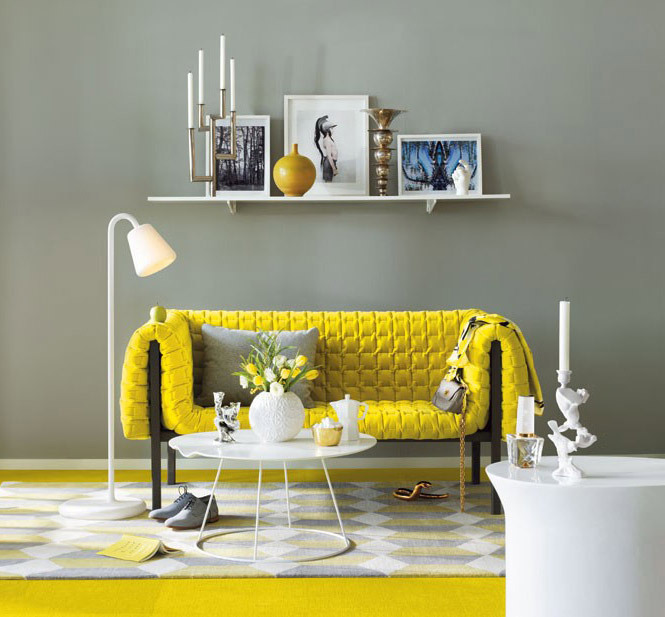 But mom just loves the look of grey with yellow. There’s something completely yin and yang about this combination. 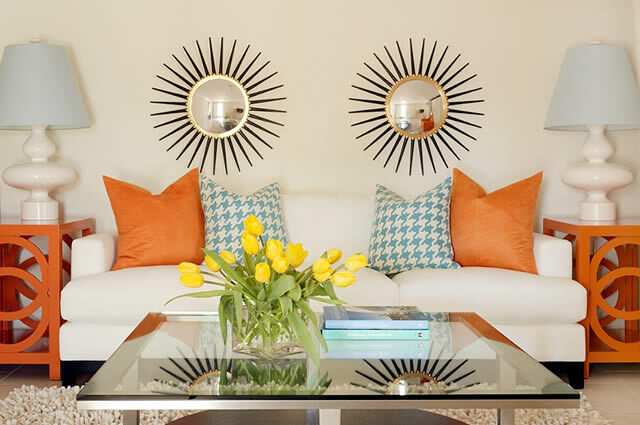 I’m not entirely sure if the couch is just a metal or wood frame with a yellow quilt thrown over it, but we’re loving the feel of this room with the accents of textures and patterns, and the use of white furniture to bring a clean, overall look. I am fanatic about teal, so much so that I chose it in its boldest form for our bedroom. Like grey, it pairs well with warm colors such as reds and oranges. And you know how I feel about red being that I’m Chinese. My mom is the least superstitious woman you’ll meet and yet she believes that red is the luckiest color around. 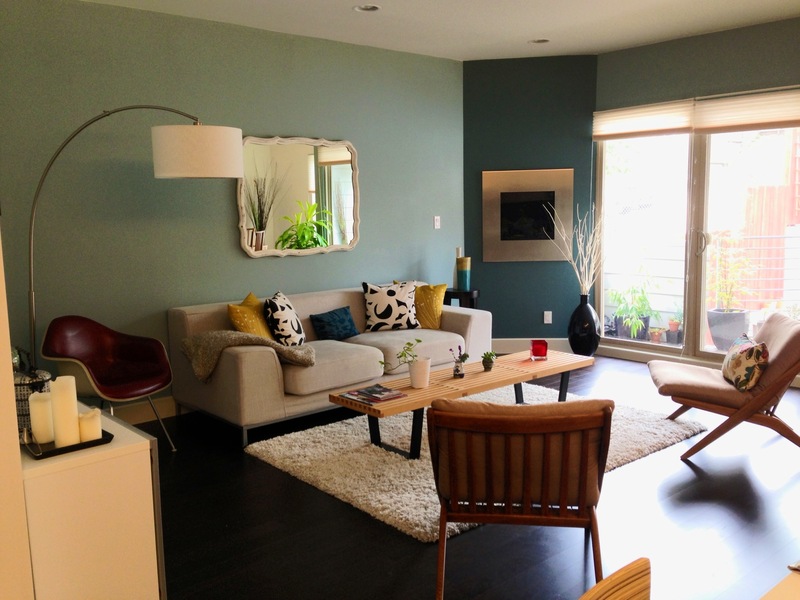 Here’s a great example of accenting a teal room with little hints of red. 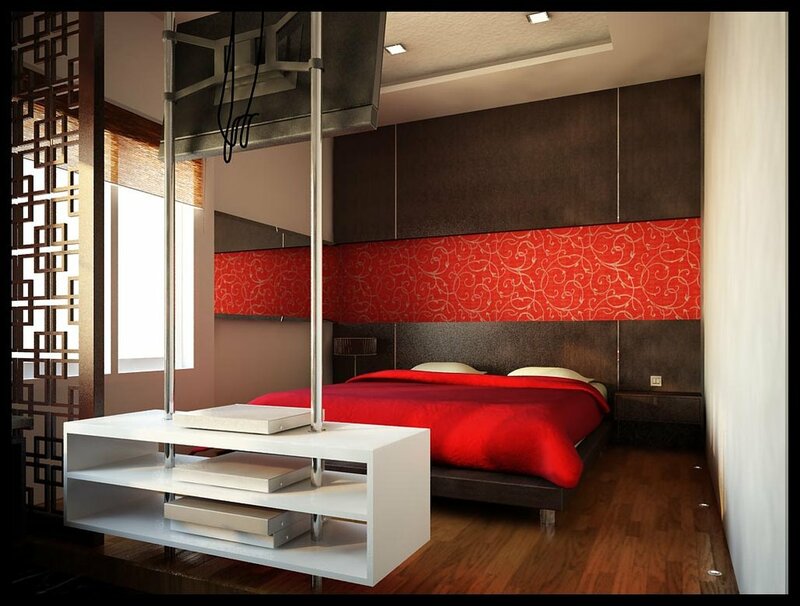 The teal is much more dominant in this space, but splashes of red make it interesting. For some reason, in complete conflict with my love of all things simple and minimalist, I’m drawn to the headboard. It’s so royal looking that it’s fit for the new prince. And the layering of the rugs works well here. Yup, I’m going out on a limb here. Call me crazy, but I’m loving this color combo. Very few people would put these colors together (it was quite apparent from my research), but when it’s done well and kept simple, it clicks as an odd couple. I’m not sure what is hanging off that pendant lamp, but the red accents on the table and the red upholstery are a nice pop against the dark surroundings. Mom loves the inclusion of the white molding that lines up with the curtain rails. Purple is supposedly huge in fashion for fall 2013. I have to laugh at the fact that its trendy name is açaí (thank you J Crew for complicating the color nomenclature). So remember folks, don’t call it purple if you want to be cool and current. It’s açaí (pronounced ah-sa-yee). The color combination of açaí and gold has appeared quite predominantly throughout my life. Aside from being the colors at my alma mater, I spent many years working for an Internet giant that practically shoved açaí and yellow down the throats of its users. So naturally, I have an affinity for the pairing. There’s a lot going on in this space, but somehow, all the elements seem to blend together harmoniously . I’m a huge fan of displaying art work of various mediums and sizes, framed differently and arranged randomly on a wall. And who wouldn’t love to declare, I have a gold couch! Okay, so maybe very few would, but it’s still a bold declaration. I love saying the word chartreuse. But even more, I love the combination of chartreuse with pink. There are only two elements in this room that are of those colors, and they stand out well. They’ve also paired an ornate credenza with a mid century bean shaped table, and chosen a diamond patterned black and white floor rug, which offers much-needed relief from the overused chevron patterned rugs these days. Love. Convinced about color? Here’s what I had to do to get my better half sold on painting the walls in our living room. He was set on leaving them white, stating with conviction that white offers a blank palette and a clean look. So I found a tool on the Sherwin Williams Web site called Color Visualizer. 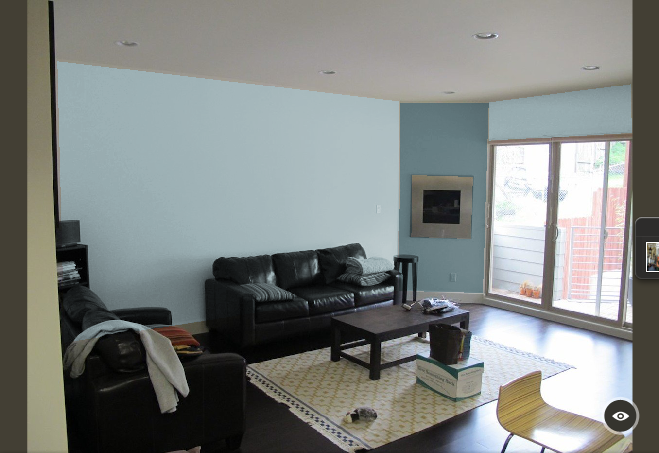 It allows you to upload a photo of your room, select from their range of color choices, and “paint” the walls in the photo to test out different colors. I’d love to hear stories about color choices and paint projects, so please feel free to chime in and share your favorite color combinations. 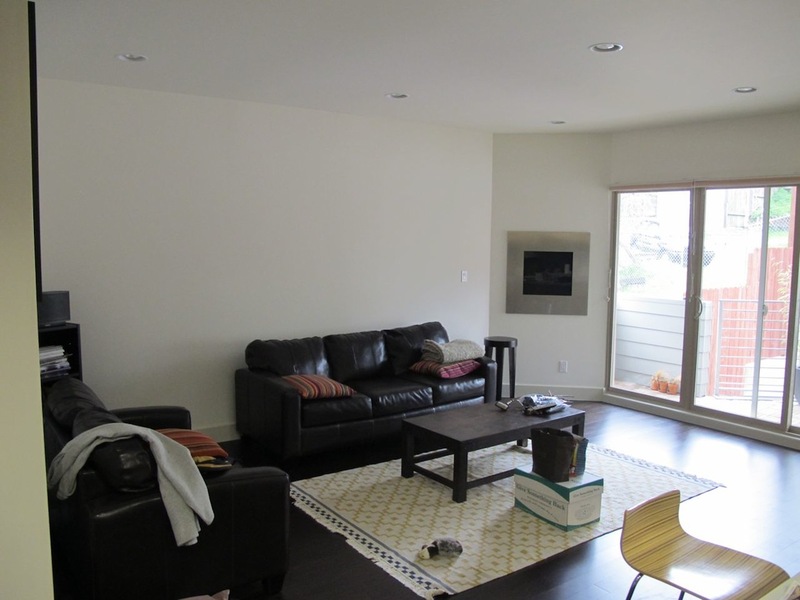 Those of you with white walls in your space, it’s time to take the plunge. It’s the cheapest and easiest DIY way to add some color into your life — and perhaps change your luck. I love your room the best! Great color. Will be sure to use that Sherwin Williams tool in the future. Thank you! You are much too generous! Definitely try out the tool. I was using it to color everything (including my dog). It’s addictive ! Love this post! My very first “solo” apartment was decorated in peach and baby blue, a 1986 take on orange and blue. In the first condo we owned, we painted one accent wall a deep purple,. (my love of purple long predates my time at said internet giant and we didn’t have acai back then ;-)) Your room looks beautiful and makes me kind of sad that I’ve been moving our 1927 bungalow back to “traditional” colors. Hmmmm…I need to come over to check out your color reversion, and write a post about the bungalows in your hood! I know you’ve been a purple fan for a really long time (didn’t you see Prince in concert last year?!). I’m dying to see your bathroom remodel too! Kisses to Kozmo!